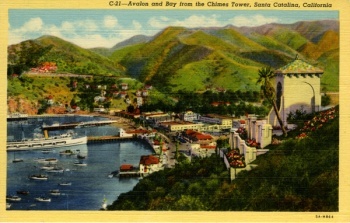 Chimes Tower, Santa Catalina Island was built under the direction of island-owner, William Wrigley, Jr. 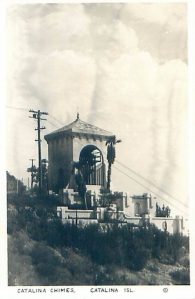 In 1925, he and his wife Ada Elizabeth Wrigley purchased the Westminster chimes from Chicago’s J.C. Deagan Company. 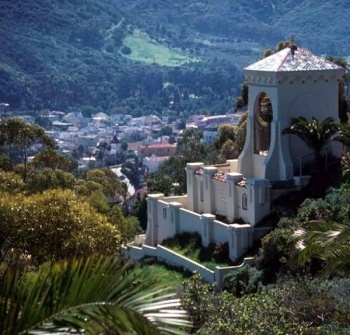 Soon there after, they had the distinctive Spanish-style tower built as the permanent home for the chimes. 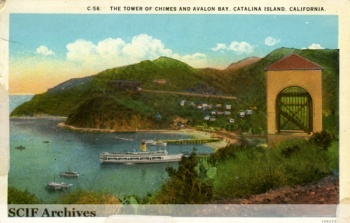 It was Mrs. Wrigley’s hope that the unique sound of the melodic chimes would waft across the town for years to come, bringing joy to all who visited Avalon and adding another bit of character to the magical island that had captivated the Wrigleys when they arrived six years earlier as the island’s new majority owners. 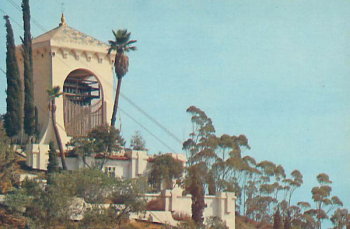 The chimes operate on a timer mechanism. They originally rang out every fifteen minutes from 7am to 10pm. Today they sound from 8am to 8pm and are often taken off the timer when islander, Jani Eisenhut, steps into the tower to play special tunes for Christmas, Easter and other events. Sometimes Jani plays for no reason other than for the sheer fun of it. 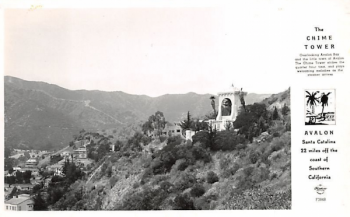 While the chimes remain in good working order, the tower they call home is beginning to show its age, despite numerous efforts to maintain it. 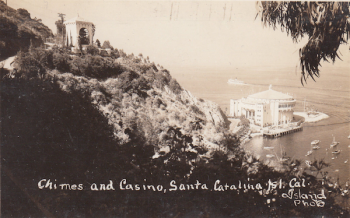 In May of 2013, the Rusack Family and the Catalina Island Company management began setting up a charitable foundation dedicated to restoring, maintaining and operating this beloved landmark for future generations to enjoy. 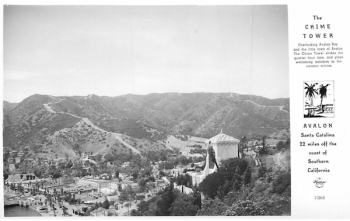 Catalina Chimes Tower Foundation was established and granted both the Deagan Westminster chimes and a perpetual easement over the land. 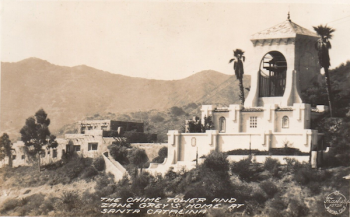 The Catalina Chimes Tower Foundation is now responsible for managing the foundation. Only half of the 440 chimes ever produced by the Deagan Company are still in operation today. This page was last edited on 10 July 2017, at 20:42.